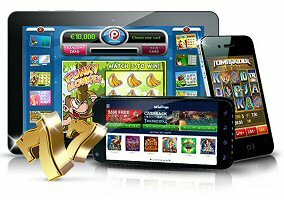 Take time to practice with free Android casino games. Research has shown that today’s youngest generation of adults are contributing greatly to the increase in mobile gambling. As newcomers to the casino scene, I strongly urge novice players to learn the ropes before investing any cash in this popular form of entertainment. Knowing which games you enjoy and are willing to spend money to play is critical to the longevity of your bankroll. What a lot of people don’t realize is that they have a lot of options. It’s not necessary to spend money to find which games you like best. Social casinos are free, but tend to be a bit zanier. Real money casino sites offer a more true-to-life experience, but you don’t have to play for real money. There are a lot of games out there. When we think of physical casinos, the games that usually come to mind are blackjack, roulette, maybe craps or baccarat, and of course slot machines. These are the games that are depicted most often in film and on television. You may already even know how to play them. But there are so many more games to choose from, especially in the online casino realm. After all, there’s no limit to the number of games that can be packed onto a virtual casino floor. I’m talking about games like Pai Gow Poker, Red Dog, Casino War, Sic Bo, Big Wheel, Let it Ride, Keno, 3 Card Poker, 4 Card Poker, Caribbean Stud, Mississippi Stud, Ultimate Texas Hold’em (the house-banked version, not the traditional player-versus-player poker game), and a multitude of Video Poker variants. This list can go on and on. Imagine walking into a casino for the first time, unfamiliar with most of these games. You have no idea which ones you’ll actually enjoy. The only way to find out is to play them all, and that could get very expensive, very quick! But don’t worry, there’s an easier way. The easiest way to find your favorite casino games is to play all the varieties you can find without risking any money at all. Mobile casinos are the perfect playground for beginners. You’ll find the exact same games available in land-based casinos (and then some), and you’ll never be required to make a deposit to play. I don’t recommend playing at ‘social casinos’. You know the ones. You download them for free off the Google Play store, invite your friends to earn free coins, compete for high scores, blah-blah-blah. Those games rarely offer anything near a genuine house edge. You’re not going to get a true-to-life experience here. In fact, some of their slot machines offer above 100% returns, which can easily convince a player that they’re very lucky—that they’ll experience the same luck playing real money slots. Wrong! That’s a nasty gambling habit just waiting to happen. Instead, go to a real online casino website, where real money play is offered. If you live in Canada, I recommend Royal Vegas. They’ve been around since 2000, are extremely reputable, and are powered by Microgaming software, which boasts the most extensive gaming menu in the industry. Don’t make a deposit yet, though. Take your time. Play all the games. Get to know them, and choose your favorites. You can practice with free Android casino games for as long as you like. If/when you’re ready, then make a deposit and collect whatever new player bonus is available to play your favorite casino games for cash. Having all this knowledge and experience behind you, I promise you’ll be glad you waited. Halloween Jackpot Online Slots from NetEnt will scare your reels off! I’ve played a lot of Halloween themed online slots in my days; at least 90% of what’s out there. One complaint I’ve always had—being a major horror movie buff—is that they just aren’t scary. The first (and until today, only) game I ever played that managed to send tingles up my spine was Triple Edge Studio‘s 2017 release of the movie-branded Halloween Online Slot, exclusive to Microgaming powered casinos. Michael Meyers and the eerie Halloween soundtrack are enough to give anyone a fright! And today, I can finally say there’s another creepy slot machine on the web that’s worthy of turning out the lights and cranking up the volume. It’s the new Halloween Jack Slot, released by NetEnt on Thursday. The most frightening thing about this game is the musical score and sound effects. After all, what good horror flick is complete without a bone-chilling soundtrack of pianos, pipe organs, creaky doors, breathy sighs and shrill scrapes? The added effect of thunderous booms and lightning strikes in the background doesn’t hurt, either. The creators of the Halloween Jack Slot surely had a great time coming up with the graphics, too. Ominous ravens and vampire bats, the webbed jewelry box, emanating with an eerie green glow, card values of (10 thru A) caressed, almost lovingly, by undead arms, and the unsettling visage of one malevolent looking lady with a sinister make-up job! 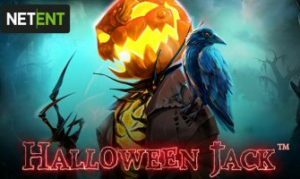 The macabre jack-o-lantern, Halloween Jack, is a Walking Wild in this 5×3 reel, 20 fixed-payline game. Whenever he appears on a reel, he acts as a standard wild. Once that spin ends, he moves left one position and triggers a free re-spin. The re-spins continue until he reaches and re-spins on the left-most reel. The web-coated jewelry box is the Scatter symbol, awarding 10 Free Spins whenever 3+ appear anywhere on the reels. If 3 or more Scatters appear during free spins, another 5 freebies are awarded. Also during free spins, Lanterns can appear on reel 5. Each lantern is collected, unlocking special features for the rest of the free games. 3 Lanterns: Unlocks 2-high stacked Hell Hound Wilds. 6 Lanterns: Unlocks 3-high stacked Jack-o-Lantern Wilds. 9 Lanterns: Unlocks 3-high expanding Death Reaper Wilds. NetEnt’s most menacing creation to date, the Halloween Jack Online Slot is available on all devices; desktop, laptop, and mobile. Built in HTML5, it’s compatible with all operating systems as well, from Windows and Mac, to Android and iOS, even Windows Phone and Blackberry. Gambling apps are all the rage these days. Whether it’s casino games, poker, sports, horse racing, lotteries, etc., the digital age has given everyone, all over the world, access to this unparalleled form of entertainment. Not everyone is inclined to risk real money, though. There are countless players out there who enjoy these games for sheer entertainment purposes. In the same token, millions of people utilize gambling apps for real money play every day. The differences between the aren’t as obvious as you may think. There are quite a few differences between these types of mobile gaming apps. Obviously, the biggest difference is the cost to play. Real money apps require a deposit, and afford an opportunity to win, and withdraw, actual cash. Play money gambling apps will never pay out cash winnings. They are 100% free to play, although users can make in-app purchases to acquire extra coins or unlock new gaming titles. Aside from this, there’s an enormous difference in availability. There is no shortage of play money casino apps for Android, iOS, Blackberry, and Windows Phone. The Google Play and Apple iTunes stores are teeming with them—thousands upon thousands to choose from! There are so many, in fact, that our only recommendation for choosing one is to look for your preferred game variety, then narrow the results by the number of downloads and positive user reviews. The more downloads there are, and more positive reviews, the more likely you are to enjoy them. And there’s no risk in taking the trial-and-error approach, keeping the good ones and deleting the bad from your phone. Real money gaming apps, on the other hand, come in significantly lesser quantities. Depending on where you live, and the legality of online gambling therein, you may or may not be able to find them on branded mobile app stores. In this case, you must download the app directly from the online gambling site for which it was made. Game variety is another area where these apps differ. Because there’s less back-end security and information being handled in play money games, these apps tend to have a much wider array of gambling amusements to choose from. Of course, they also come in smaller installments, catering singly to slots players, blackjack players, poker players, etc. Most, but not all, real money gambling apps are restricted to smaller categories of games. This keeps the application light weight and more convenient for players seeking a wholly secure, fast-paced gaming experience. The last major difference between these apps is regulatory compliance. Since there’s no cash involved, free-to-play apps have no regulatory restrictions. The developers can set, and alter, the theoretical return to player (RTP) any way they wish. They can set the slots to be loose, with an above 100% RTP. Or, they can set them with low RTPs in hopes of getting more players to purchase coins. Due to the enormous range of competition in this market, however, most developers set their RTPs high to deliver a more entertaining experience. Real money gambling apps—the reputable ones, anyway—cannot and will not alter their RTPs. They are bound by strict licensing regulations that require them to provide a fair RTP on every game. The blackjack games must have the same random odds of a physical shuffled deck of cards. The slots cannot pay an RTP lower, or higher, than jurisdictional law permits. In this way, players are guaranteed to get an authentic, fair gaming experience every time the place a bet. Can a Cheap Smartphone run Real Money Casino Apps? If you look for this information on just about any other website, you’ll get the same old story regurgitated time and again. ‘You should buy the latest Samsung Galaxy, Apple iPhone or iPad! They’re the best!‘ They might be the best at doing anything and everything a mobile device can do, but they are ridiculously expensive, and beyond excessive in their capabilities. If your car is totalled, I wouldn’t suggest you go drop 5 figures on a brand new car with all the bells and whistles. I would suggest you find something that runs well in your price range. The same goes for playing casino games on mobile. More often than not, a cheap smartphone can run real money casino apps just as well. There are lots of great phones on the market that won’t cost you an arm and a leg. All you need is something with adequate space (for apps), or a modern mobile browser (for in-browser play). The device specs, and the ability to access the internet, are the key components to look for. If you prefer to download an app, you’ll want a smartphone or tablet with at least 16GB of internal storage space. 8GB is usually too small, as it gives you only enough room for your operating system and a few important apps. 8GB internal storage will do in a pinch if you’re not an app hog, and don’t mind playing the games directly in your mobile browser. You should also invest in a MicroSD card to give you a little extra wiggle room. You can throw all of your photos and videos on this to save precious space, since low storage will slow down your device. As for transferring programs to the SD card, you’ll only be able to put certain apps on it. And only a portion of those apps can be transferred to the external drive, so don’t bother getting an 8GB phone with a big SD card. That wont help. You don’t need the lightning speed of the A11 Bionic SoC or Exynos 9 to play casino games on mobile. Sure, they’ll load amazingly fast, but there’s plenty of other processor chips out there that will get the job done with no noticeable delay. Anything above 1 GHz should be capable of running the games at a decent speed. As for graphics, you don’t need ultra high definition (UHD) 4K resolution to see what’s going on. Mobile casino apps are already designed for clarity. The card prints are larger, and font sizes adjusted for easy reading. Unless you drop the phone down the stairwell and smash the screen, you should have no trouble sizing bets or viewing animations. Yes, in most cases, brand names do matter. There are some very basic production companies out there that use cheap plastic in place of hardened plastic or metal when building their devices. They may work out of the box, but don’t tend to last long. Once the phone gets hot, cheap plastic melts, and everything goes awry. You should look for a good name brand smartphone or tablet. Samsung is a great company, and not all of their devices are expensive. In fact, they specialize in providing low, medium and high cost products to fit any budget. Above all else, read the reviews of any product before you buy. I’ve seen cheap Samsung phones that last for years, as well as some that get terrible reviews for being buggy or shoddily built. I owned a $100 Samsung Galaxy Grand Prime for two years that never once gave me a problem, although I wouldn’t recommend it for playing real money casino apps. For one, it’s no longer in production, and two, it’s only got 8GB internal storage. Great for browsing, but not for gaming. The Samsung Galaxy Amp Prime, as well as the LG Harmony, are both budget priced, and do a great job performance-wise. Don’t use the built-in browser though. Upgrade to something like Google Chrome, Firefox, or Safari. If you love the Apple brand, get an older iPhone—even a refurbished one. They are built to last, after all. These and similarly equipped devices (with 4-of-5 star reviews) are among the best mobile phones for playing casino games, without breaking your budget. Take a moment to do your research, and you can get a great deal, saving all that extra cash for your iGaming bankroll. iGaming growth driven by mobile casino apps for iOS and Android. The online gambling industry has been experiencing exponential growth for more than twenty years. Its success has followed the trail of technological advancements, beginning with the dawn of the internet. 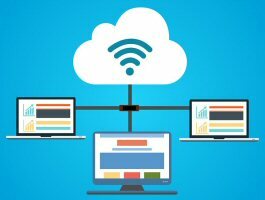 Better desktop computers, faster internet speeds, smartphone and tablet access, mobile casino apps for Android and iOS users—these and other factors have been quintessential to the continuous expansion of the global iGaming market. It’s that last enhancement, real money gambling apps, that we’ll be focusing on today. While every smartphone user loves to install gaming apps on their mobile device, casino apps—at least, the real money variety—took quite some time to gain popularity. Now that they have, every iGaming operator is focusing on this line of player acquisition, and quite frankly, it’s working. The first smartphones came along about a decade ago, and apps became all the rage. The saying, “there’s an apps for that”, is universal, and today, there really is an app for just about everything. There are even apps that teach parrots to talk. I know, I’ve used them! As popular as all these apps were in recent years, mobile casino apps that offer real money games just weren’t catching on, despite their direct provision by most major operators. One major factor was the lack of game variety. Sure, you could play some slot machines, blackjack, roulette—all the favorites—but in comparison to desktop and mobile browser play, it just wasn’t as appealing. So why not just increase the game variety? If you build it, they will come, right? Well, that was a problem, too. If players aren’t using this technology, developers aren’t so inclined to spend precious time and money expanding the applications. And there was another obstacle in the way. For years, app stores created a stigma around mobile casino apps for Android and iOS by refusing to offer them. For this reason, players feared that they might not be legal. And if not, perhaps by using them, they would be easier to track by authorities. The paranoia grew like mold, even in jurisdictions like Canada, where online gambling is not illegal. In reality, the app stores were the ones in fear of legal repercussion. If a player from a location where online gambling is illegal—most US states, for example—downloads a real money gambling app from Google Play, who’s to say Google Play isn’t at fault for providing it? As most of us know, the US government isn’t one to toy with, especially when there’s a big multi-billion dollar business to siphon a settlement from. Almost a year ago, everything began to change when Google Play announced alterations to its gambling content policy. Real money casino apps would be available for download, but only in certain countries. The UK, Ireland and France were the first to get them, with expansion to other legal-iGaming jurisdictions to come. Subsequently, the average player’s feeling towards mobile gambling apps began to change. When it did, software companies saw an opportunity. Utilizing the latest HTML5 technology, they began updating their apps, adding more games and more features. Now, with the stigma removed, and more games than ever before, mobile casino apps for iOS and Android are finally gaining popularity at a phenomenal rate. 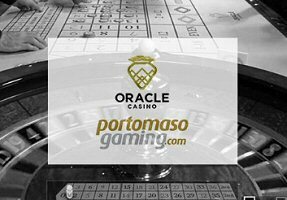 Portomaso Gaming launches Live Casino Roulette 360 from Oracle Casino in Malta; same tables, with new cameras angles. Portomaso Gaming, a collaboration between Grinder Ltd and Wirex, is upgrading its live, in-casino services this month. Last week, the announcement came down that the live studio group’s enhancements to their live roulette tables at Oracle Casino are complete. They’ve even fancied up the name, as well, changing it from plain old Live Roulette, to Roulette 360. First things first, let me clear up any probable confusion. 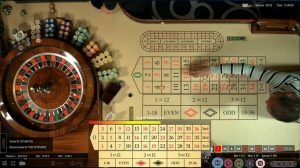 The new Roulette 360 games streaming from the Malta casino are not the same as the new 360 Roulette from Extreme Live Gaming. That platform, also launched last week, offers an augmented reality version of live roulette. Portomaso Gaming’s version, Roulette 360, is a physical, in-casino table game. It would seem the numerical label 360 is trending at the moment. Live Casino Roulette 360 – What’s New? Portomaso Gaming is the producer of a live casino stream platform headquartered in its namesake location of Portomaso, Malta. The company hosts live dealer games direct from the gaming floors of Malta’s Oracle Casino and Portomaso Casino, as well as from a studio located within Portomaso Casino. For the last few years, they’ve been streaming high-quality action from Oracle’s in-casino roulette tables. There’s nothing new in that regard. The tables, croupiers, rules, and payouts are all the same. What is different, however, is the technology they’re using to do it. Over the last few weeks, the tech crews of Portomaso Gaming have been installing new equipment at Oracle Casino. It includes a whole new range of cameras, positioned to give viewers a lot more angles of the roulette table and wheel. Maybe not an entire 360-degree angle view – no one wants or needs to see that much – but a lot more angles of the table and wheel, including a perfectly straight-overhead aerial view. The User Interface is also brand new. Portomaso completed a structural overhaul of the UI to give players a more user-friendly experience. It’s crisp, clean, easy to navigate – a far cry better than the previous edition. While the above upgrades are sure to be noticeable for players, this last one may not. But I assure you, it’s a vast improvement over the old version. It may very well be the single item on the revamp menu that drove the platform’s creators to upgrade their services in the first place. Aside from increasing accessibility, there’s another advantage here. The big difference that most veterna users will identify is that Flash is no longer required. Although HTML5 does run on Flash, it’s built in. That means no more pop-up messages requesting the user download or enable Flash to continue. It just works, on any device, anytime. For the last few years, the iGaming industry has claimed virtual reality (VR) and augmented reality (AR) are the upcoming wave of the future for online casinos. Well, my friends, the future is now. Live casino studio producers at Extreme Live Gaming are launching Roulette 360, an AR gambling game for desktop, mobile and VR headsets. This is by no means the inaugural presentation of AR/VR gambling technology. Microgaming debuted its immersive VR Roulette back in 2015, followed by NetEnt‘s Live Beyond Live AR casino games earlier this year. However, Extreme Live Gaming is the first to incorporate VR headset compatibility into its new live roulette game. According to last week’s press release, Extreme Live Gaming, a subsidiary of the Novomatic Group, merged AR and HTML5 technology to create Roulette 360. 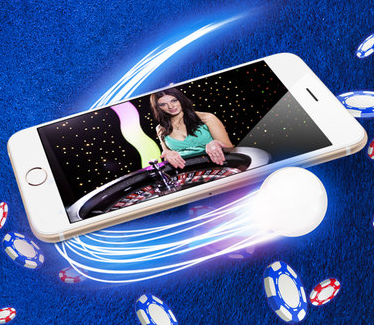 That combination of programming allows players to access the new AR gambling game from any operating system, on virtually any desktop, smartphone, or tablet (with Flash installed). For a wholly immersive experience, it is recommended to utilize a mobile device and VR headset combination. The company refers to its new Live Roulette 360 as “a virtual multi-gaming experience like no other”. The game provides players with an opportunity to observe a 360-degree view of the casino, placing bets on multiple tables at once. Extreme Live Gaming CEO Darwyn Palenzuala showed off Roulette 360’s capabilities at the 2018 ICE Totally Gaming expo in London earlier this year. He was especially proud to introduce their AR gambling product as “the first out there that allows a player to take full control of their environment, move it around, and get a feel of the roulette game”. Palenzuela believes the biggest draw of the 360 interface is brandable customization. “You can also link in other games,” he explains. Every position within the navigable area can be another live table game, or even a slot machine or video poker interface. “We can launch any slots game within the game, so it allows you to play roulette, plus any other side games,” says Palenzuela. With a VR headset, the player can simply move their head to view the 360-degree atmosphere of the AR gambling environment. Using any touch-screen computer or mobile device, players can swipe the screen to change their view, also with 360-degree range of motion. 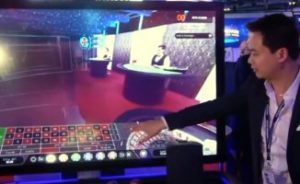 Following its initial debut at 2018 ICE, the new augmented reality live Roulette 360 officially launched on March 26, 2018. There’s no word yet on which casino operators have shown interest in licensing the live studio platform. We hope to provide more information on that as it becomes available. 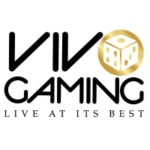 Vivo Gaming boasts new interface on Live Roulette for mobile. Live dealer has been one of the fastest growing verticals in the online gambling industry. Most companies deeply embedded in the business for the last decade are performing exceptionally well, investing in innovations to better their products. Vivo Gaming is, well… trying to be one of them. Launched in 2010, they have the longevity and experience to be a high-profile rival in the industry. However, they’ve made quite a few mistakes over the years. Perhaps this latest announcement of an updated, more user friendly product will mark a turn-around for their business model and reputation. With that being said, Vivo is introducing a new Live roulette mobile interface. This new tech is developed in HTML5 for universal device compatibility, offering players a more versatile and customizable experience. Vivo Gaming has given their existing live roulette tables a complete makeover. The interface has a whole new graphic scheme that is more crisp and easy on the eyes. By default, the table’s digital betting diagram takes up the majority of the screen on mobile devices. However, it now comes with a floating, resizable window to view the live action from their studios in… um, wherever they are. They don’t actually divulge that information. According to a company press release, the new interface also provides for all possible side bets, including those found on traditional French roulette tables. The new games have already been integrated at Vivo’s existing live casino clients. Vivo Gaming is preparing to debut its fresh live casino product portfolio at ICE 2018 in London next month. They’re surely hoping to attract a wider variety of partners, with the “super light” software application as a prominent selling point. “We are happy to present our super light roulette application, that supports all mobile devices available including widescreen and has all Improved full screen handling in iOS and Android,” said… someone quoted in the press release. In 8 years of operation, they’ve never revealed who owns or manages Vivo Gaming, either. “The Vivo Tech Team is always motivated to come up with solutionsthat supports our partners and allies with our best side of tech capacity,” the mystery quotation continues. 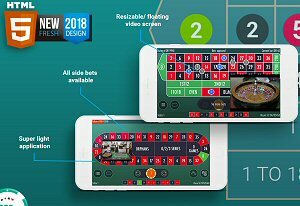 “Altogether, considering the design, game options, optimized light version, we believe we are currently offering one of the Best Mobile Roulette this year”. I have a hard time speaking positively of a brand that is so clandestine about their operations. They claim multiple times on their website to host “studios from around the world”, but never say where they host them from. We do know that one streams live from the Naka Palace Entertainment Hotel Resort in Laos (Southeast Asia). We have to assume there are more. Vivo claims its “operations fall under strict regulation of some of the world leading land based casino”, and Naka Palace can’t possibly fit that description. The live casino operator does seem to have one of the most extensive game varieties in the live arena, if their textual bragging can be believed. There’s no evidence on the website – no demos, pictures, or videos that exhibit live craps – to back up the claims. I spent quite some time searching through dozens of online casinos this morning that employ Vivo software. I finally managed to find one that displays an image of Live Casino Craps on its menu. Of course, that site is licenced in Curacao – as is Vivo Gaming (that’s the only thing they disclose) – so I didn’t bothering signing up an account to find out if it’s true. Being “regulated” in “Curacao” is kind of a contradiction in terms. If nothing else, there’s one thing I can say for Vivo Gaming. What they lack in transparency, they make up for in boastful marketing. Hopefully their desire to go big at ICE 2018 with the new product line and interface on live roulette for mobile will drive them to become more transparent in their future endeavors.